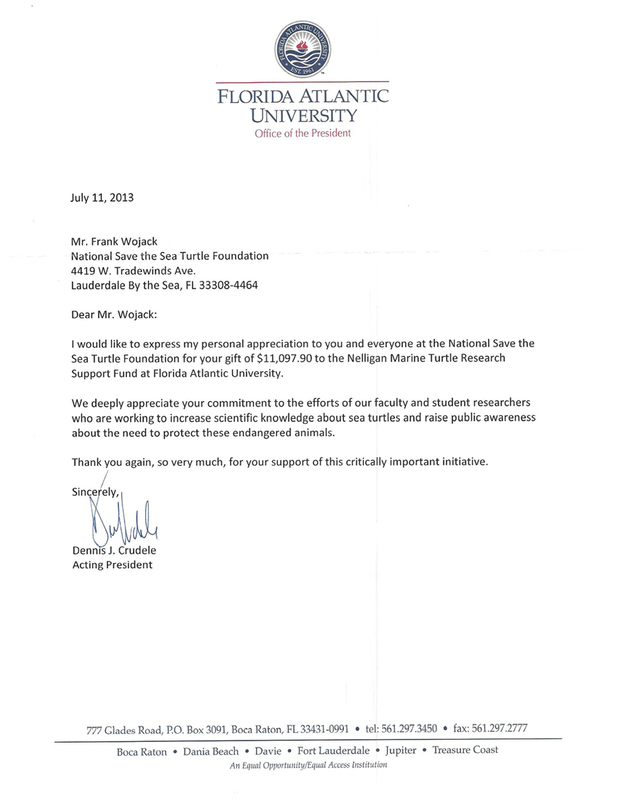 The National Save the Sea Turtle funds phase #1 to renovate FAU's marine biology laboratory located at Gumbo Limbo Nature Center. The Cost of Phase #1 was approximately $11,000.00 to remove the outdated, overhead lighting. Phase #2 will renovate the obseration deck at the lab and make some much-needed renovations to the lab itself, which is open to the public. More news and updates to come. Soon you will be able to make a tax-deductible donations to the Scholarship program to support the students who today and in the future will gather the knowledge required to protect and preserve our marine environment... stay tuned.